Investment Analysis | Capital: Ventured. What Makes an Investment Successful? Metrics help identify trends and successful aspects of certain deals. ROI, Cash on Cash return, IRR, and Time to Exit are all excellent metrics when you have exited an investment, but what are some of the (publicly available) metrics that can be used to determine if a current investment is successful? 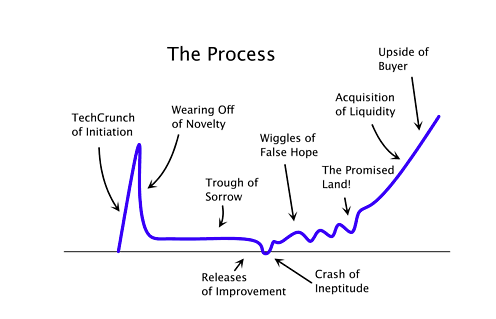 How can you spot a company that has successfully navigated from the “Crash of Ineptitude” to “The Promised Land”? Curious aren’t you now? Well have no fear, C:V. is here! We decided to highlight a company that we consider to be one of the “most successful” current investments of the moment. DocuSign was recently honored with our Round of the Week and we decided to dive into some of the aspects that we see in the company to this point that we think an existing investor would deem successful. A market leader in the Digital Transaction Management (DTM) space, DocuSign is on a mission to completely change the business world. We are bullish on them here at C:V. because of the sheer magnitude of the disruption to the DTM space they can cause. They have raised over $200M in funding and are undergoing massive growth and expansion across all verticals and regions. Explosive Growth of Core Company Metrics: WhatsApp had explosive growth in MAU’s and they turned out alright. Explosive growth is (usually) an excellent problem to have and we love reading about companies who continue to obliterate the core company milestones they have set. 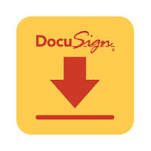 DocuSign has done just that. They have over 95K customers and 48M users, but their most explosive statistic is they sign up 40K users a day. Yes, that really means 28 new users have signed up since you began reading this post…. Rising Valuations: This is a bit harder to verify, but we love seeing companies that valuations keep rising making company employees, investors, and generally everyone happier (#NoDownRounds). The last round was rumored to be north of $1B, so even with all of their prior rounds, it appears they are on the rise. Over-subscription/Large Investor Pool: We really like it when we see rounds that are oversubscribed or have large, well known VC’s joining in on the later rounds as this only adds justification to the company’s existing thesis and adds some great mentors/board members to help navigate. While we don’t know if DocuSign’s latest round was oversubscribed, we do know they have one of the largest investor syndicates we have seen of late and had KPCB, Google Ventures, and Accel join AFTER the C round. While this may make for an interesting dynamic with almost TOO many resources at their disposal, we think this could be a huge asset for DocuSign given the MASSIVE market they are attempting to disrupt. Having such a large network of investors allows for more doors to be opened in terms of exposure and possible strategic partnerships, let alone the advice/ability of these investors to assist the company when scaling at the stage DocuSign is. Additionally, for the investors in the company already, there should be no issue with commitment due to lack of ownership, as they should be happy knowing that even a small piece of an extremely large pie still makes for a very filling dessert. Follow on by Prior Investors: Not so much a benefit but more of a red flag if not adhered to, we always like to see investors continuing to invest in later rounds (as able) as it is a sign of longer term commitment and buy in to the company’s vision. Even with all the investors in the company, the core early investors have remained committed in all subsequent rounds. Facebook buys WhatsApp – How do you like me MAU? Pretty sure if you add a few zeroes on the end of that number that is EXACTLY what Jan Koum, Brian Acton, and the rest of the team at WhatsApp were thinking last night when Facebook announced they had acquired the Mobile Messaging app for an astounding $19B. Cash vs. Stock – This is a split Cash/Stock deal where the company receives $4B in Cash and $12B in Facebook Stock with $3B in RSU’s (Restricted Stock Units). Smart move by Zuck/Ebersman to use shares as currency and limit the cash outlay. MAU – MAU (Monthly Active Users) is a widely used metric for consumer-facing companies and WhatsApp has over 400M of them and they seem to be growing exponentially every day. Needless to say, if you can get to that many active users in such a short time period, then you will be the belle of the ball at the consumer-facing company Prom. Location, Location, Location – As the old real estate saying goes, “the only thing that matters is Location, Location, Location!” and WhatsApp has plenty of that. They have a dominant position on mobile messaging services in a lot of the growing areas that Facebook wants to expand its reach. There are plenty of other reasons why the deal makes sense given Facebook’s overall mobile first strategy and letting WhatsApp operate Instagram-style (i.e. as its own entity) must have been a deal-clincher for Jan and team. Finally, big props to Sequoia and Jim Goetz for basically doubling their fund size with this one exit (their stake was rumored to be in the high teens). Pretty sure you have just secured over-subscription for all future funds and made a few LP’s extremely happy in the process.